New: Makers Market at Great Northern ft. art, street food & more. 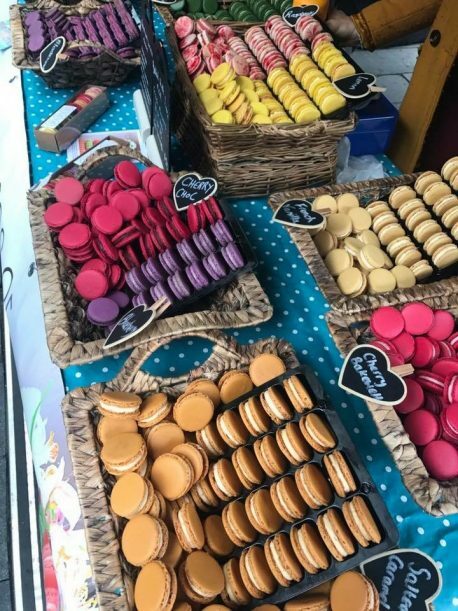 The monthly Makers Markets in the Northern Quarter, Spinningfields and Didsbury have become weekend musts. Over 70 independent traders make each event unique, serving up the best in street food, crafts, vintage goods, fine art, jewellery, gifts and much more. Everything on offer is made by the region’s finest makers – and, as of this weekend, there’s a new market to enjoy in Manchester city centre. The Makers Market is expanding with the first ever Sunday market in the historic Great Northern Warehouse on Deansgate. For fans of art, vintage wares, street food and gourmet booze, it’s a reason to celebrate. Plus, the former railway goods warehouse brings a special charm to proceedings too. Expect everything from frills and frocks to macarons, foraged ingredients for sale, urban photography and everything in between.